1. When did you first feel like you were being called to be a missionary? I think it was in the spring or summer of 2004 that Dan visited Jerry and DeAnna Olson (his sister and her husband) while they were back in the States from Bolivia. During that visit Jerry and DeAnna expressed the need for more missionaries in Bolivia and challenged Dan to really prayerfully consider the possibility of our family being involved. Dan came back home and shared all of this with me. The two of us prayed about it and in time we felt the Lord leading us into missions, and specifically to Bolivia. Dan and I had each taken a missions trips to Bolivia previously so we were somewhat familiar with the ministry opportunities there. 2. How did you know this was your calling? After praying about it we both felt a real peace from the Lord, and doors opened for us to move forward and become missionaries. Another thing that really confirmed our decision was the response of our kids. They were 10, 12, and 14 years old when we headed to Bolivia. We wondered how they would feel about the possibility of moving to Bolivia as missionaries. At their ages we thought it might be hard for them. Our oldest son, Taylor, was all excited about this new adventure. He was ready for a change! Our younger two, Trevor and Tasha, picked up on his excitement and they were ready to go! What a blessing for us as parents. 3. Did you ever fight or question your calling? Not really. I was raised on the mission field in Japan so it was very exciting for me when we felt the Lord leading us into missions. It was a very natural transition for me into a lifestyle that I was very familiar and comfortable with. I was ready to make that decision before Dan was. Ministry was nothing new to Dan. He was raised in a pastor’s family and we had been in the pastorate ourselves for many years.The thought of missions involved a bigger change and adjustment for him. The incredible thing is that the Lord in His perfect time lead us each separately to feel His leading into missions. 4. Have you ever wanted to back out of doing missions? I think we all have those days when we think, “Is this really worth it?” but then in a few days things usually seem to turn around. 5. How are you living out your calling? Our mission here in Bolivia was started over 60 years ago and it is well established. Our churches have Bolivian pastors and our schools are run by the Bolivians. We also have a camp ministry which is run once again by Bolivians. Our purpose as missionaries here in Bolivia is to encourage and empower our church leaders to effectively do the work of the ministries that the Lord has given them. We spend time with leaders one on one and in group settings. We work alongside them, encouraging them to use their God-given gifts and talents, and to continue to develop them. One example would be a kids club that we are involved in. The kids that attend are from non-church families and can be pretty challenging at times. We want to also reach out to their parents and neighbors and be able to start a church plant when the time is right. We have Bolivian leaders who lead the club and are in charge, but Dan and I are there to work right along with them. We share materials and ideas with them, and also give counsel and encourage them. This has been a challenging yet rewarding ministry to be involved in. 6. What part of missionary work do you enjoy the most? I would probably have to say the people. Getting to know them is always such a blessing.Sharing in their trials and times of celebrating. There is something very special about the deep friendships that we have with many of the Bolivians. 7. How did you balance your family life while in the mission field? Since Dan and I both grew up in ministry families we knew firsthand how much ministry can affect your family life. With that in mind we didn’t force our kids to be involved in every aspect of ministry. We tried to make ministry fun so they would want to be involved. We let them pick and choose how and when to have an active involvement in our ministries. Also, although we did have people and meetings in our home at times, we tried to really keep our home a place of refuge for our family. It was a place where we could be a family and not always be dealing with ministry. In our home we were just a normal family. We also tried to make sure our kids knew that they were our priority. Ministry is important but our family is even more important! When we had really busy ministry times we made sure to then take a bit of a break to spend time as a family. It really is all about finding a good balance. 8. How did you know that you wanted to be missionaries together? We each felt the Lord’s leading and He gave us each a peace about being missionaries. 9. How has cross-cultural service enriched your life? It really opens your eyes to view the world in a different way. It helps you to have a broader understanding of how different cultures and people are, and that is a beautiful thing. It also develops a desire to be more accepting towards people that are different from us. People and cultures are so interesting and when you live cross-culturally I think you learn to really value that. We feel drawn to people that are different from us and want to get to know them. It is an experience that definitely enriches our lives. I also think it has made us more people- oriented and less materialistic. 10. What advice would you give for people going in that direction? I would say take a missions trip or two. See how you feel about being out of your comfort zone….in a different culture. Talk to missionaries and pray for God’s clear leading in your life. 11. What do you perceive are your strengths in ministry? I am organized and can plan out details. Dan is very much a people person. We are both encouragers, which is something very needed here in Bolivia. Dan and I work well together, complementing each other’s strengths and weaknesses. 12. What do you see as your weak points in ministry? Probably our Spanish. I don’t think that either of us would be considered gifted in learning a new language. We came to Bolivia when we were in our 40’s and it was very hard work to learn Spanish at that age. Our kids picked it up playing soccer with neighbor kids and interacting with the people at church. It was a natural process for them.There are still times when we can’t express ourselves like we could in our native language.That can be frustrating but I think it has taught us to listen more. I guess that’s a good thing. 13. What is your philosophy of ministry? Our philosophy of ministry is to bring people to the Lord, help them grow in their relationship with the Lord, and then equip them to be involved in ministry themselves. On a new mission field the missionary is doing or starting the ministries since it is completely new to the nationals. But as ministries are established we believe the missionaries need to step back and transition the ministries over to the nationals. They need to be in these leadership roles. As missionaries we don’t want to be doing ministries that the nationals can do themselves.In time our goal is to work ourselves out of a job, and if the nationals can continue in ministry without us, we have done our job. 14. 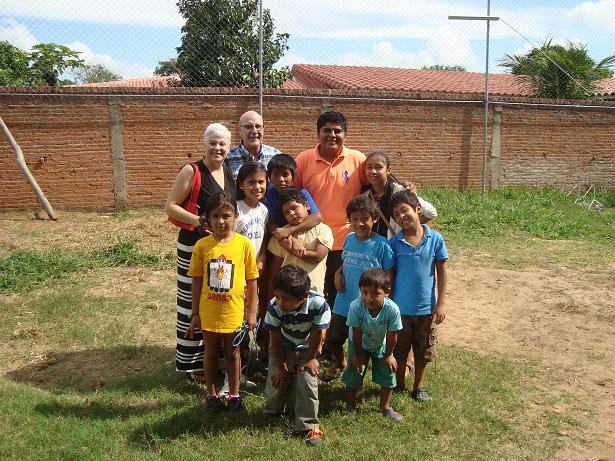 How are you ministering to the people of Bolivia? What do you do? I work with a women’s committee which plans events for the women in our mission. I used to speak more often at these events and at our different church women’s groups. 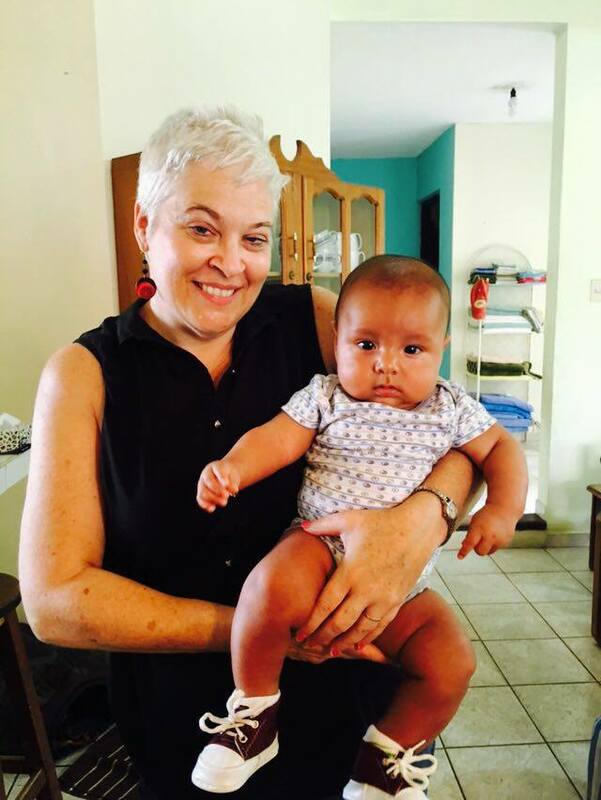 At this point in our ministry we have more Bolivian women who are capable of speaking so I have taken more of a step back from that role, but there are always other ways that I can help. Dan and I meet with individuals or groups of leaders to encourage them and to give counsel on ministry issues. In fact I’ll be meeting one on one with a young girl tonight. Dan often receives calls from pastors in our mission who want to meet with him to get his opinion on ministry ideas or problems. Dan and I work at the kid’s club that I mentioned earlier. We have Bolivian leaders who are in charge but we work right alongside them. Dan and I have had the chance to build a good relationship with the caretaker of the property and his wife and three kids. This in itself has been a special ministry. Dan has opportunities to teach and preach within our mission here right in Santa Cruz and at times is able to travel up to La Paz to do some teaching among our pastors and leaders there. Our favorite ministry and what comes naturally to us is just encouraging our Bolivian believers. 15. What is a misconception that you had to learn to overcome? I had always heard that once you learned a second language, learning a third language was not so hard. Having grown up in Japan I was fluent in Japanese and English as a child. So I thought there are my two languages….Spanish should be easy. I was in for a big surprise. Spanish was hard and I had to work much harder to learn it than I ever expected. It has been a good language to learn though, since there seem to be Spanish-speaking people all over the world. 16. How have the people of Bolivia impacted you as a person? As a couple? Bolivian people are so kind and gracious! It is a joy to be with them. It’s amazing how they respond so kindly in certain situations that could be very frustrating. By their example they have helped me to learn to think before responding at times. They are so gracious when we as foreigners do something that is culturally a bit off. They are patient and calm, things that we are still learning from them. One big way that the Bolivians have impacted our lives is the value and importance they put on people and relationships rather than events and activities. Bolivians often arrive late to events because they see a friend along the way and choose to chat with them. Relationships are their priority! 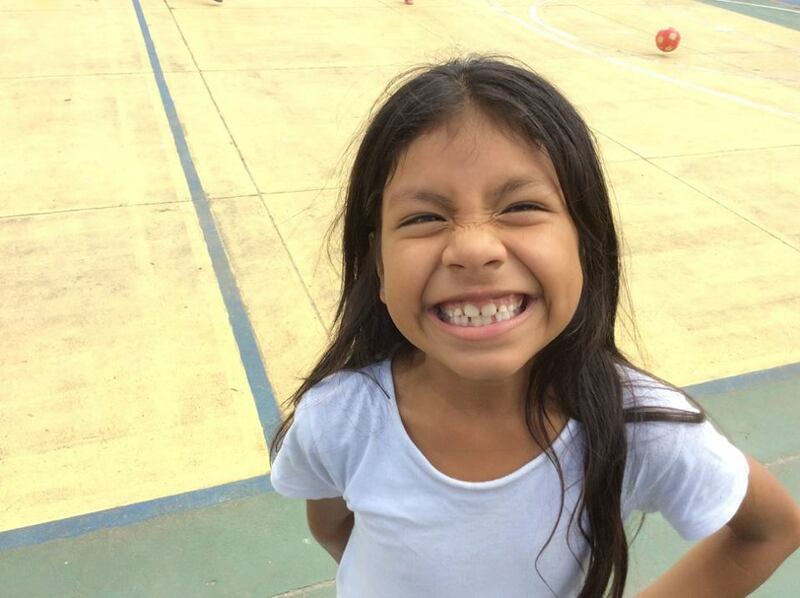 Another thing would be seeing Bolivian believers who have so little and yet are full of joy! They are examples to us of contentment and knowing what is really important in this life. 17. How would you describe your overall experience? It has been good although very hard at times. We have been stretched way out of our comfort zone, and yet God has always carried us. We have grown in our dependence on God. We know very clearly that we cannot do things on our own. We can accomplish things only with the help and strength of God. We have had trials and disappointments but also so many victories and reasons for celebrating. It is so encouraging to see kids that we worked with in Awana who are now young leaders in our churches. They accepted the Lord, grew in their faith, and are now ministering to others. That’s what it is all about! 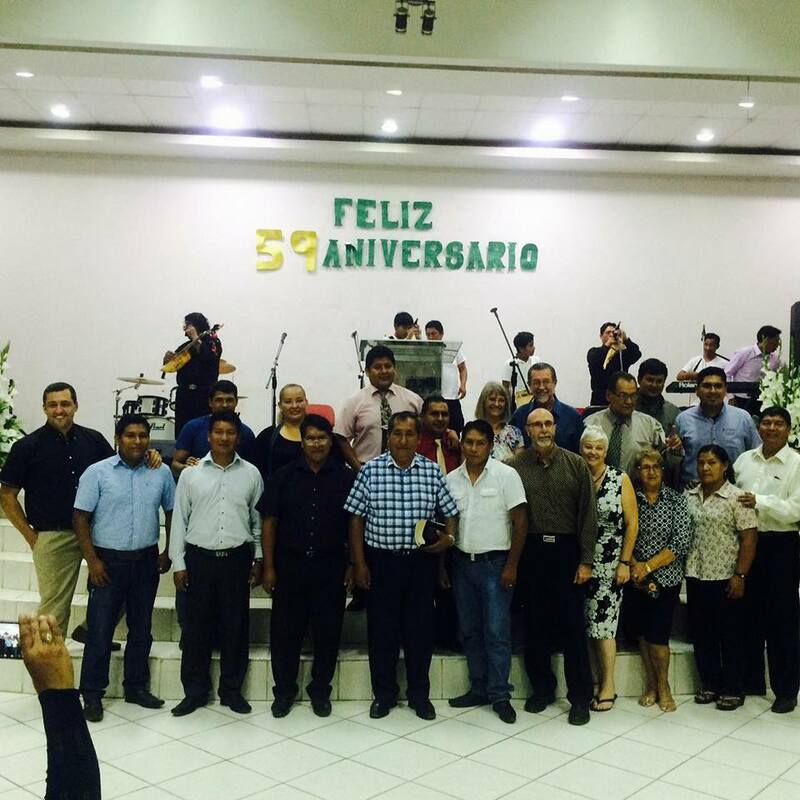 We thank the Lord for the opportunity to minister among these precious Bolivians. We wouldn’t trade our time in Bolivia for anything.